Our company is engaged in manufacturing and supplying an extensive assortment of Cable Trays, which are acclaimed for its durability and dimensional accuracy. A cable tray is used to support insulated electric cables used for power distribution and communication. The company designs and develops these products in compliance with the specific requirements of the clients. We are engaged in manufacturing and supplying of Stainless Steel Cable Trays. 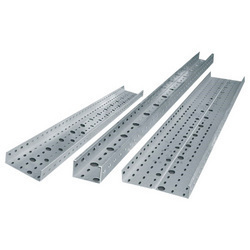 These cable trays are manufactured from high quality stainless steel using advanced machinery and latest technologies. Known for their durability, rust resistance and longer service life, offered trays are widely demanded by our clients. Before the final dispatch, these cable trays are rigorously checked by our quality controllers to offer defect-free quality. 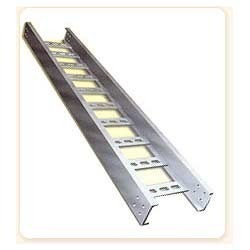 We are engaged in the manufacturing and supplying of premium quality Aluminum Cable Trays to the esteemed customers. Offered trays are stringently checked by our quality controllers on several of their check points. These cable trays are widely demanded by our clients. The dedicated efforts of our professionals enable us to bring forth a vast range of Hot-Dip Galvanized Cable Trays. This range of cable trays is manufactured using qualitative raw material which makes it resistant to corrosion in various environments as it does not allow moisture to attack the steel, thereby providing maximum protection to the wires. which is offered in several sizes and shapes to our clients. Further, these undergo various quality testing trays is available in customized specification. 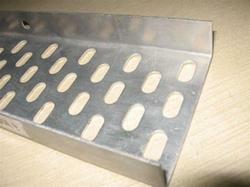 We are instrumental in the manufacturing and supplying of optimum quality PowderCoatedCableTrays. Manufactured using latest technology and modern machinery under strict supervision, these cable trays are appreciated for their unmatched quality. 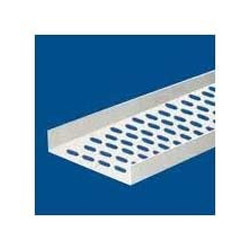 Offered trays are demanded in such application areas where easy installation and detachment is necessary. 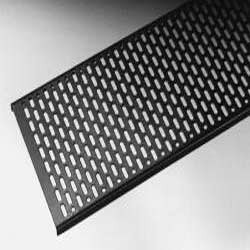 The cable trays we offer are also known for their seamless finish, light weight and cost-effectiveness. 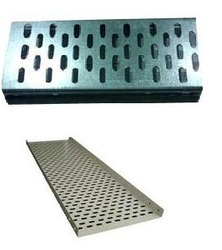 We are manufacturers and suppliers of Channel Cable Tray. These cable trays are manufactured under the strict supervision of our qualified professionals using corrosion resistant aluminum and steel. Offered trays are stringently checked by our quality controllers before their final dispatch. Our cable trays are globally acknowledged by the clients for their durability, smooth installation and longer service life. Customers can avail from us a premium range of Ladder Type Cable Trays, which is developed in conformation with the latest technological advancements. 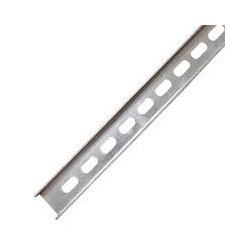 These galvanized cable trays are manufactured with fine quality mild steel that is galvanized. Further, these trays consist of two longitudinal side rails connected by rungs. A ladder cable tray provides maximum free flow of air while dissipating heat, which is produced in current carrying conductors. Ladder cables are ideal for usage in areas where there is a potential for dust to accumulate. 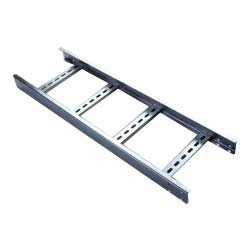 As per the client demand, we can offer our range of ladder cable trays in various specifications. Enriched with long years of experience in the industry, we are engaged in offering an extensive range of C Channel Cable Tray. These are highly acclaimed among our clients for their reliable nature and superior finishing. Offered products support insulated electric cables and are available in market in various specifications as per the clients needs. Additionally, these are available at affordable prices. With the assistance of our dedicated workforce and equipped infrastructure, we have been able to offer premium quality Cable Tray at most competitive market price. Offered trays are manufactured under the strict supervision of our expert team in accordance with industry set norms and specifications. In the manufacturing process we use good quality metal that is obtained from authentic vendors having a long term business relation with us. Our vast industry experience has helped us to offer best quality PaintedCableTrays to the honored clients. These cable trays are used in electrical wiring to support the cables used for communication. Obtained from trustworthy vendors, superior quality mild steel is used in the manufacturing of these cable trays. Offered cable trays are highly acknowledged for their high tensile strength, fine finish and better service life. Looking for Cable Trays ?